Simon Pegg the fan boy who made good has finally become part of the establishment co-writing the latest Star Trek movie. It took the original cast 16 years to get old but only 7 years after the 2009 reboot introduced a hip new happening cast to take over these iconic roles and now at the age a lot of the original actors were when they began the TV series a lot is made in this film of middle age ennui. Captain James T. Kirk, the lustful wanderer always looking for the undiscovered country, here feels lost having surpassed his father’s age and therefore apparently his shadow. Talking over with Starfleet command he’s become disenchanted with going in search of new horizons and considers taking a desk job as a Commodore which fits with William Shatner’s version ending up an Admiral at one point and also maybe reflects that this is a different Kirk. There’s a nice drinking scene between friends Kirk and medical officer Leonard ‘Bones’ McCoy (Karl Urban) that deals with this but lacks Commander Spock to complete the triumvirate. Reference is made about the closeness of Spock and Kirk but all evidence suggests they’re barely able to carry out a conversation between the two of them. Into this state of mind the U.S.S. Enterprise is called to help out on the fringes of known space where they are attacked by a new type of a species and end up crashlanding on a nearby planet with the crew separated into groups. Sadly the late Anton Yelchin is given little to do as navigator Pavel Chekov but raises a few smiles. 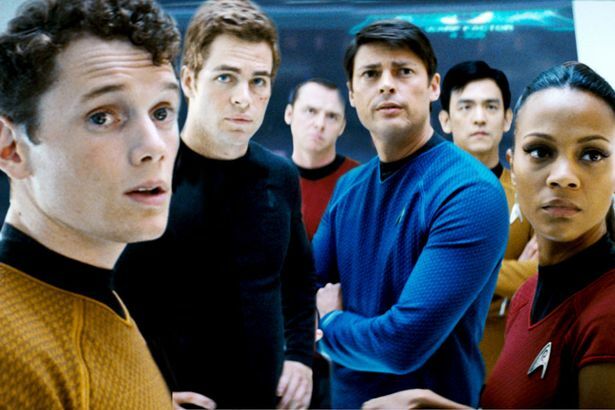 While the bulk of the crew including helmsman Hikaru Sulu (John Cho) and communications officer Nyota Uhura (Zoe Saldana) are held prisoner by mysterious villain Krall and plot escape, Bones and Spock are put together as an odd couple forced to survive and admit some of their feelings. Spock is dealing with breaking up with Uhura and whether he is best needed elsewhere with the endangered Vulcan race having received news that Ambassador Spock (Leonard Nimoy) has passed. Engineer Montgomery Scott (Simon Pegg) meets a “friendly” alien called Jaylah (Sofia Boutella) who is repairing a ship to leave the planet and could be their best hope of escape. Chris Pine as Kirk meanwhile ends up riding a motorbike like a Crusty Demon which sent the internet into meltdown last year fearing a Fast and Furiousifcation of Trek by director Justin Lin. Some of the action is poorly shot due to darkly lit sequences but most are very exciting. Space battles against bug like small explosive vessels are a neat twist on the classic dreadnought engagements of old, Sofia Boutella gets a great hand to hand combat sequence and an early scene aboard Starbase Yorktown in the first act sets up later the finale where people fight in various gravity vacuums and ride ships down tunnels that barely fit them. There’s a child’s joy in some of these action sequences of building a set and then staging something exciting in it. It may be worth checking the film out in 3D and one positive that can’t be stressed enough is how good the special effects look in this film and how beautifully realised the world is. There’s many references to the sometimes maligned Enterprise series and an interesting development about the villain even if we never really understand his motivation, a very touching inclusion of the original cast and a renewed focus on bringing it back to the characters and where they are emotionally. The problem here is they are not nearly as interesting as they were in previous films. Quinto and Urban in particular nailed the characteristics of Leonard Nimoy and DeForest Kelly previously but seem too comfortable and low energy in this. So much so I wonder if there is a phone ringing nearby. The most involving character is new addition Jaylah with PTSD from her family’s death and simple heartfelt references to a ship being a home. Alas the old crew as a family doesn’t seem as together emotionally or physically. Star Trek: Into Darkness was full of references to another Khan centric film but arguably still more engaging than this. Critical and peer responses to this film have been more positive than my assessment of it so feel free to explore this latest undergoing for yourself but as an enormous fan of the reboot I find myself missing the old gang more and more as this young crew ages. Alas Yelchin now leaves the role sadly and it’s not a bad film to dedicate to him and Nimoy’s memory. These voyages are ongoing but it’s nice to remember those who have gone before. 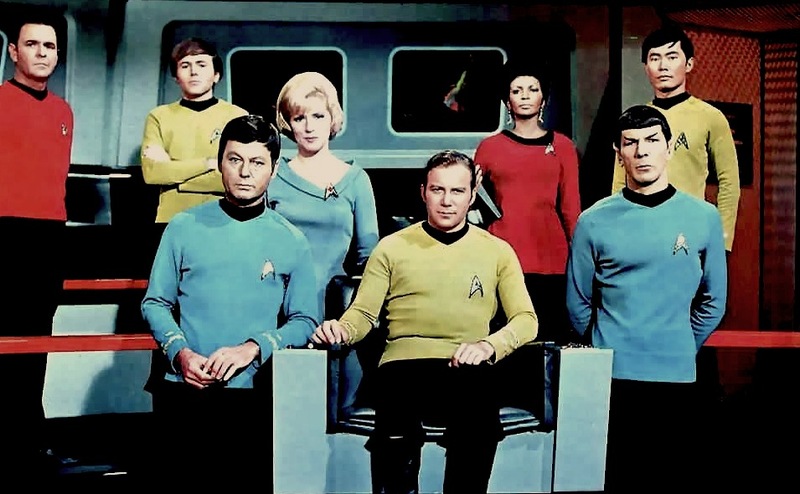 I gave up on Star Trek after the first film with Shatner and Nimoy. So what do I know? If they ever remake or prequel ‘The Godfather’, as I am sure that they will, I think my head will just explode, like someone in ‘Scanners’. I never could get into the new ones; just as I can’t get into movie re-makes – you can’t ever get the chemistry right between actors and the plots are mere copies. In my opinion, Lloyd. It’s a fair opinion GP. Sad that one of the cast died before the film was even released.